G-Dragon (AKA 권지용) of the K-Pop group Big Bang. 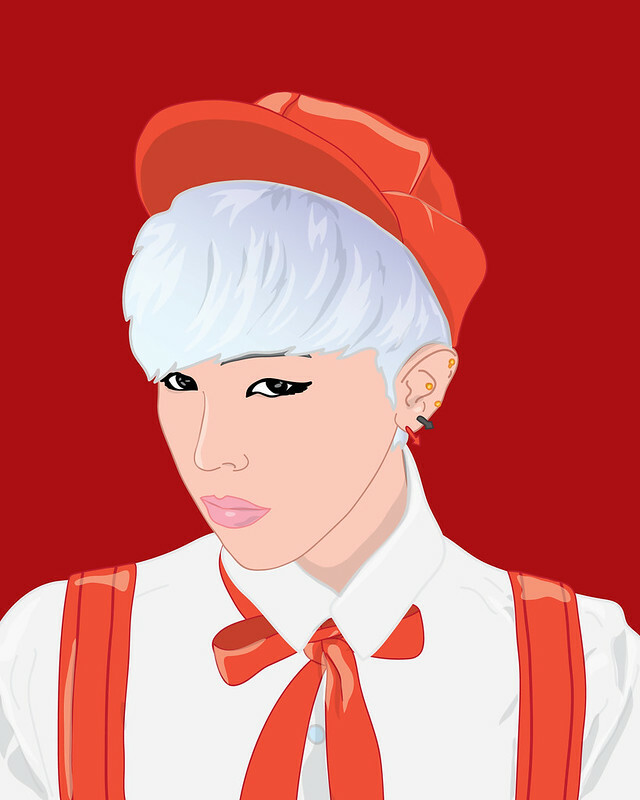 This is the second portrait in my K-Pop series with many more planned. G-Dragon’s mix of hyper-masculine posturing and androgynous aesthetics have long fascinated me. This look is form the Crayon video. What K-Pop artists should I do next?